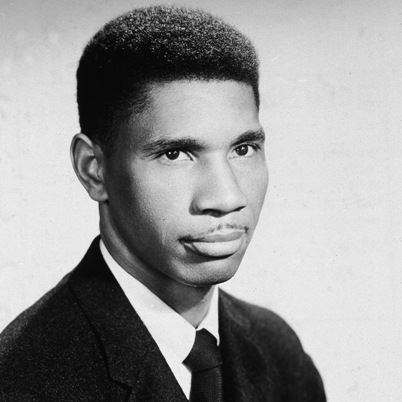 Topping the list of legendary Mississippi African Americans who impacted the lives of all Americans is Medgar Evers. A tribute to Evers in the context of his impact on the life of Marian Wright Eldeman can be found on page 15 in this issue of The Mississippi Link. A very special note regarding Evers is the naval ship named in his honor commissioned by former Mississippi Gov. Ray Mabus, who is now Secretary of the Navy. Mabus announced Oct. 9, 2009, that the newest Lewis and Clark-class dry cargo/ammunition ship (T-AKE) would be named USNS Medgar Evers. Mabus made the announcement during a Jackson State University speaking engagement. Evers’ widow, Myrlie Evers-Williams, related in the naming ceremony that Mabus once promised to honor her husband’s memory and now has kept his word. explorers, the Navy’s newest underway replenishment ship recognizes civil rights activist Medgar Evers (1925-1963) who forever changed race relations in America. Walter Payton was born July 25, 1954, in Columbia, Miss. Payton drew attention when as a halfback at Jackson State University, was placed in the starting lineup his freshman year of 1971. He was selected for the All-American team and named Black College Player of the Year in 1973 and 1974. During his four years at Jackson State, he rushed for more than 3,500 yards and scored more than 450 points. 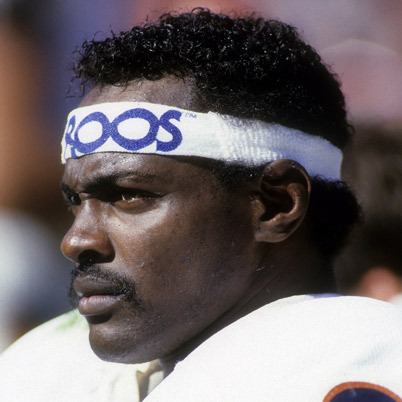 Known by the nickname “Sweetness,” he was signed by the Chicago Bears in 1975 as a running back known for speed. He made nine Pro Bowl appearances and won the Most Valuable Player Award twice. He held the NFL rushing record and the single game rushing record. He played 13 seasons with the Bears. He retired after the 1987 season still holding the NFL rushing record with 16,726 yards and the single game rushing record of 275 yards. Payton was inducted into the Hall of Fame in 1993. 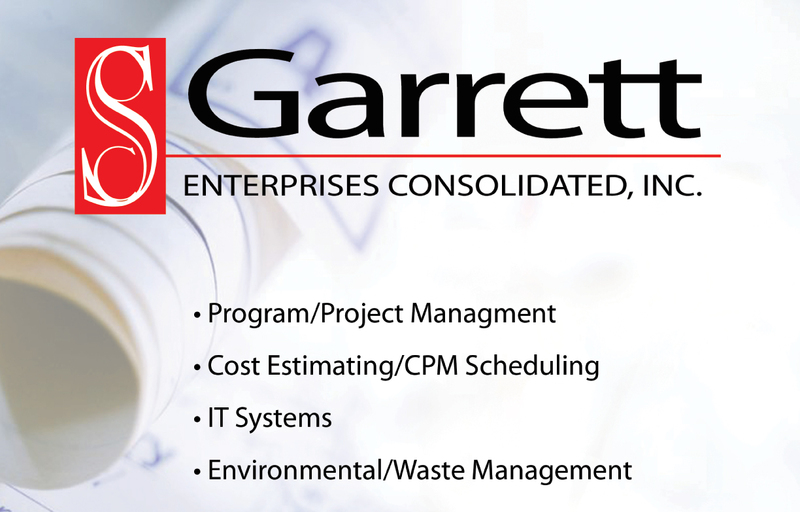 He pursued business opportunities in real estate, restaurants and race cars. He formed the Halas Payton Foundation in 1988 and the Walter Payton Foundation to help inner-city kids in Chicago. Payton became ill in early 1999 and died from cancer Nov. 1 the same year. He was survived by his wife Connie and two children, Jarrett and Brittney. His charitable organization is now called the Walter and Connie Payton Foundation with his wife continuing to support the causes Payton cared about. Although Margaret Walker was born in Birmingham, Ala., in 1915, she came to have a great impact on education at Jackson State University (JSU). She was the daughter of a minister and a teacher and was encouraged to excel. At the age of 19, she completed her B. A. in English at Northwestern University in Chicago and one year later joined the Federal Writers’ Project. 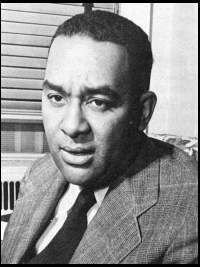 Walker worked with prominent writers Richard Wright and Gwendolyn Brooks. In 1942, she received her master’s degree in creative writing from the University of Iowa where she also received her Ph. D. in English in 1965. She won the Yale Younger Poets Competition for her book of poetry “For My People” in 1942. She celebrated African American history and culture. Following her marriage to Firnist Alexander in 1943, she began teaching English at Jackson State University – from 1946 -1979 – and lived in Jackson until her death in December, 1998. Founded by Walker in 1968 as the ‘Institute for the Study of the History, Life and Culture of Black People,’ the now named Margaret Walker Center seeks to honor her academic and artistic legacy through its archival collections, exhibits and public programs. Open to the public, the Center houses significant records like the papers of the late Margaret Walker; those of the former U.S. Secretary of Education Roderick Paige and a large oral history department that includes nearly 2,000 interviews. It also offers museum and exhibit spaces that highlight the Center’s collections and the history of Jackson State University. The Margaret Walker Center continues to collect living memories, archival records, and personal papers for scholarly use, advocates the preservation of the built environment such as the historic 1903 Ayer Hall, which is the oldest structure on the JSU campus and was named to the National Register of Historic Places in 1977. The Center works with other JSU departments and its partners – COFO (Council of Federated Organizations) Civil Rights Education Center and the Fannie Lou Hamer National Institute on Citizenship and Democracy. Fannie Lou Hamer was born in rural Montgomery County, Miss., Oct. 6, 1917, to poor sharecroppers, the youngest of 20 children. At age 37, she joined the Student Non-Violent Coordinating Committee and worked on voter registration for black Mississippians. Although Hamer could read at a very young age, she was told repeatedly that she failed the voter registration test. So she would return every month to take the same test. When no help came from the federal government to register black voters, the Mississippi Freedom Democratic Party (MFDP) was formed and registered 60,000 new black voters across the state. At the 1964 Democratic Convention, the MFDP challenged the Mississippi delegates for seating at the Convention. 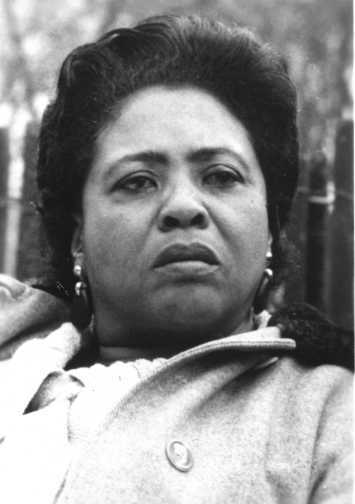 Hamer took the opportunity to describe to the Convention and the world the horrific way she and other black Mississippians were treated after leaving the voter registration workshop in Charleston, S.C., in June 1963. Returning home at a Trailways bus terminal in Winona, Miss., she and others were arrested at the bus terminal. On orders from a state highway patrol officer, she was taken from her cell to another and there ordered to be beaten by two black prisoners with a police blackjack. It was three days later before she was allowed to be taken to the hospital. From that beating she suffered permanent kidney damage, a blood clot in her left eye and a limp when she walked. Giving this testimony to the Democratic Convention, she had informed the entire country about the treatment of blacks in Mississippi at the hands of white southerners. Hamer ran for Congress in the Mississippi State Democratic primary in 1964. Though unsuccessful, she continued to fuel rallies and resistance movements helping sharecroppers and was instrumental in bringing Head Start programs to the state. She was a Democratic National Committee representative from 1968-1971 and ran for the Mississippi State Senate in 1971; she was a delegate to the Democratic National Convention in 1972. In 1972, a unanimous resolution praising Hamer’s statewide and national contribution to civil rights was passed by the Mississippi House of Representatives. Hamer died March 21, 1977 and buried in a place she helped create – the Freedom Farms Cooperative, in Ruleville, Miss. Richard Nathaniel Wright perhaps is the most notable student to graduate from Jackson’s first public school built for African-Americans, Smith Robertson School (see page 14 of this issue). Wright was born Sept. 4, 1908, in Roxie, Miss., near Natchez, the grandson of slaves and the son of a sharecropper, largely raised by his mother. He was a voracious reader with a gift for words, though he only completed the ninth grade – from which he graduated as valedictorian. At 16, a short story he wrote was published in a southern African-American newspaper. He moved to Chicago in 1927. Later, he was employed at the Federal Writers Project and moved to New York City. He received critical acclaim for Uncle Tom’s Children, a collection of four stories. The book proved to be a significant turning point in his career, earning him a $500 prize from Story magazine and led to a 1939 Guggenheim Fellowship. He’s best known for the 1940 bestseller Native Son, later made into a stage play, and his 1945 autobiography Black Boy, depicting extreme poverty and racial violence against blacks. The more he read about the world, the more he longed to see it and make a permanent break from the Jim Crow South, telling a friend, “I want my life to count for something.” He lived for a while in Mexico and died in Paris, France, Nov. 28, 1960. Other novels he is noted for are The Outsider (1953) and The Long Dream (1958), and nonfictions Black Power (1954) and White Man, Listen! (1957). He was regarded by many writers as their inspiration. Mary Violet Leontyne Price, the legendary soprano, was born Feb.10, 1927, in Laurel, Miss. Her father James worked in a lumber mill and her mother Katie was a midwife who sang in the church choir. Their only child born after 13 years, they gave her a toy piano at age of 3 and piano lessons with a local teacher. At 14, she was taken to hear Marian Anderson sing in Jackson, an experience she called inspirational. She rose to international acclaim in the 1950s and 1960s, and was one of the first African Americans to become a leading artist at the Metropolitan Opera. Her voice was described as “vibrant,” “soaring” and “a price beyond pearls,” “genuinely buttery, carefully produced but firmly under control.” After her retirement from the opera stage in 1985, she continued to appear in recitals and orchestral concerts for another 12 years. She performed in Porgy. She also became the first African American to appear in a leading role in televised opera, causing several NBC affiliates to cancel the broadcast in protest. She was awarded the Presidential Medal of Freedom (1964), the Spingarn Medal (1965), the Kennedy Center Honors (1980), the National Medal of Arts (1985), numerous honorary degrees, and 19 Grammy Awards, 13 for operatic or song recitals, five for full operas. Price received a special Lifetime Achievement Award in 1989. She had received more awards than any other classical singer. In October 2008, she was one of the recipients of the first Opera Honors given by the National Endowment for the Arts. A daughter of slaves, Ida B. Wells was born in Holly Springs, Miss., July 16, 1862. 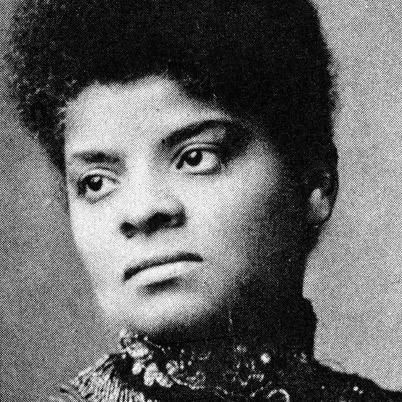 As a journalist, Wells led an anti-lynching crusade in the United States in the 1890s. Wells was the oldest daughter of James and Lizzie Wells, who became freed slaves about six months after Ida’s birth and at the time the Emancipation Proclamation was signed (see page 11 of this issue). However, living in Mississippi, African Americans still faced racial prejudices and restrictions. Her father served on the first board of trustees for Rust College and made education a priority for his seven children. It was there that Wells received her early schooling, but she had to drop out at the age of 16, when tragedy struck her family. Both parents and one sibling died of yellow fever. Wells then had to care for her other siblings. She convinced a nearby country school administrator that she was 18, and landed a job as a teacher. In 1882, Wells moved with her sisters to Memphis, Tenn., to live with an aunt and continued her education at Fisk University in Nashville. In Tennessee, she once sued the train company for taking her seat and moving her to the “colored section.” She won a $500 settlement which was later overturned. She began to write about race and politics in the South under the penname “Iola.” She married Ferdinand Barnett in 1898 and died in Chicago March 25, 1931, at the age of 69.